Jay-Z and his wife, Beyonce Knowles, form one of the most powerful couples in the music industry. He has recorded 13 hip-hop records and released more than 100 singles. He was born and raised in New York and burst on to the music scene in 1996 with his debut album, Reasonable Doubt, which was a critical and commercial success. In addition to his music career, he also owns a fashion line and a sports entertainment company. He is the recipient of 21 Grammy Awards. Jay-Z and his wife, Beyonce, kick off their joint tour, titled On the Run II, in Cardiff, Wales. Jay-Z collaborates with Cohiba on a line of cigars. Jay-Z and Beyonce get married. Beyonce gets a wedding ring worth $5 million. Jay-Z releases the album American Gangster, inspired by his time as a youth on the streets of Brooklyn. After failing to get a record deal to release some of his first songs, Jay-Z launches his own record label, Rock-A-Fella Records. There's no better way to celebrate Jay-Z's birthday than putting some of his music on the stereo or headphones. You might start with Watch the Throne, his collaboration with Kanye West, or Everything is Love, the album he recorded with his wife, Beyonce Knowles. While Jay-Z had to relinquish his ownership in the Brooklyn Nets in order to become a sports agent, he's still a big fan. You might catch him near the front row of the Barclays Center arena if you attend a Nets' game. 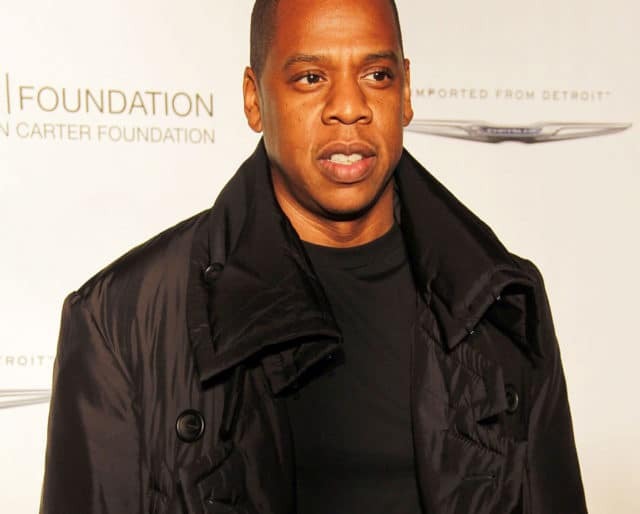 Jay-Z released his memoir, Decoded, in 2010, which details his rough upbringing in New York and also sheds light on many of the lyrics in his songs. You almost have a look at Empire State of Mind, Zach O'Malley Greenburg's book about how Jay-Z built his enormously successful business empire. Jay-Z's collaboration with Kanye West on Diamonds From Sierra Leone was a critical slam dunk. Jay-Z provided the intro to Rihanna's worldwide hit, Umbrella. Jay-Z introduced Nicki Minaj to the world with the single, Monster, in 2011. The song also featured Rick Ross and Bon Iver. Metal rappers Linkin Park and Jay-Z collaborated on an EP, Collision Course, in 2004. The record featured the hit Numb/Encore. Crazy in Love is a 2003 collaboration between Jay-Z and his then girlfriend, Beyonce. Jay-Z went from the housing projects of Brooklyn, where he grew up, to the corner office of a number of highly successful companies. He's an inspiration for anyone with aspirations to better his or her circumstances and stands as a role model for how to achieve success. There's no denying it. Beyonce is one of the most popular stars of our time, and Jay-Z happens to be her husband. Together, they're worth nearly $1.2 billion. And last year, they introduced their twins, Rumi and Sir Carter, to the world. Jay-Z's rap style is referred to as "flow," in that it sometimes blurs lines of verse together. His use of entendres is almost legendary, and he is equally adept at rapping fast or slow.